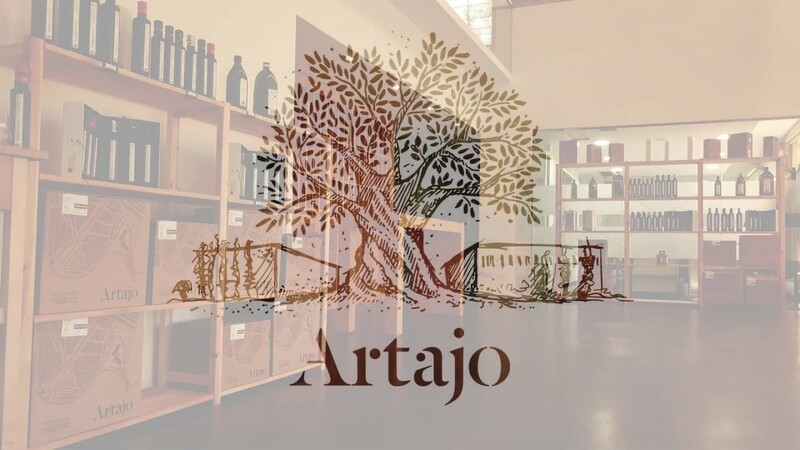 Artajo is a family business committed to the production of quality extra virgin olive oil. Exclusively olives harvested from the own estate are ground in the mill on-site. Taking care of the quality from the olive tree. A unique environment with 200,000 olive trees of 12 different varieties located in a privileged climate for cultivation, the ‘Ribera del Ebro’ region in Navarra (Spain). 'Artajo 10' is our soon harvest extra virgin olive oil. The early picking, from green olives, gives our best oils a fresh, herbaceous touch, with an intensity of exceptional green fruity aromas. In contrast, the amount of oil obtained from early olives is much less than in mature ones. They have also been recognized in competitions that reward the best oils in the world. Therefore, to elaborate 1L of Artajo 10 some 10 kg of olives are necessary. It is recommended to use it raw, to finish dishes, or enjoy it on toast. It's available in 6 different olive varieties (Arbequina, Arbosana, Arróniz, Manzanilla Cacereña, Koroneiki and Coupage). 'Artajo 8' is an extra virgin olive oil made out of medium ripening olives, when the colours are turning from green into red. It is produced around the first week of November. olives are needed to make 1L. Perfect for cold uses and for cooking. Die frühe Ernte aus grünen Oliven verleiht unseren besten Ölen eine frische, kräuterige Note mit einer Intensität außergewöhnlich grüner Fruchtaromen. Im Gegensatz dazu ist die Menge an Öl, die aus frühen Oliven gewonnen wird, viel geringer als bei reifen. Sie wurden auch bei Wettbewerben ausgezeichnet, bei denen die besten Öle der Welt ausgezeichnet werden. Um 1L Artajo 10 herzustellen, sind daher 10 kg Oliven notwendig. Es wird empfohlen, es roh zu verwenden, um Gerichte zu beenden oder auf Toast zu genießen. Jede Sorte hat ihr besonderes Aroma und Aroma, daher werden einige Paarungen mit anderen Produkten vorgeschlagen. Grünes, fruchtig duftendes Aroma mit einer frischen Kräuternote. Erinnert an aromatische Kräuter und rote Früchte (Himbeere, Johannisbeere). Am Gaumen hat er eine mittelhohe Bitterkeit mit mittlerer Schärfe. Zitrusfrüchte, Blattsalate und fetter Fisch (Roter Thunfisch).